Thousands of Amazon workers in Europe seeking better conditions and pay are engaged in a coordinated strike meant to coincide with Prime Day, the company’s invented shopping holiday. News of a strike began circulating last week, as workers at a San Fernando de Henares (MAD4, in Amazon parlance) facility prepared for a three-day action to follow up a two-day strike those same workers held in late March. The collective agreement between MAD4 workers—nearly half of whom are temps—and Amazon expired in 2016, and a resolution has yet to be reached, while Amazon continues to chip away at things like night shift bonuses and healthcare. On its own MAD4's strike may not have had much of an effect on Amazon’s overall supply chain for Prime Day, as other European facilities might have picked up the slack. 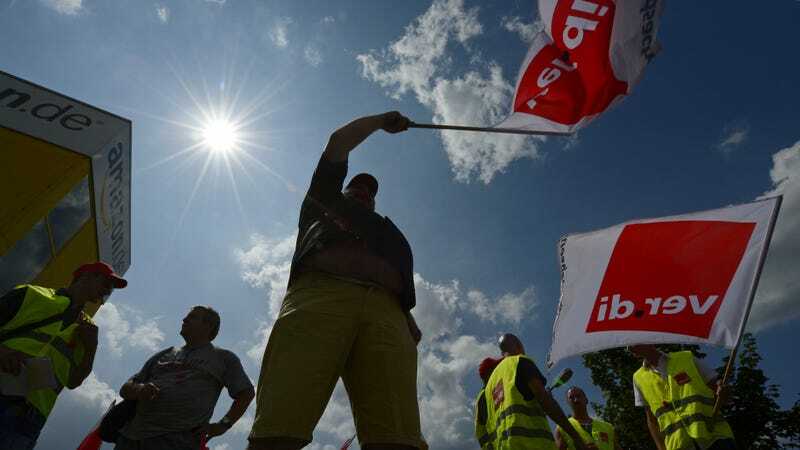 However, six facilities in Germany have also chosen to engage in a one-day strike at the behest of the Vendi services union. At this time, Polish workers will also be performing a work-to-rule protest, a form of worker action where all labor is done exactly as outlined by company guidelines. Unions are, generally speaking, stronger in Europe than in the United States, and strikes against Amazon, in particular, have been happening for years. Workers in Italy and Germany struck separately back in December, to coincide with Christmas orders, following a joint Black Friday strike. 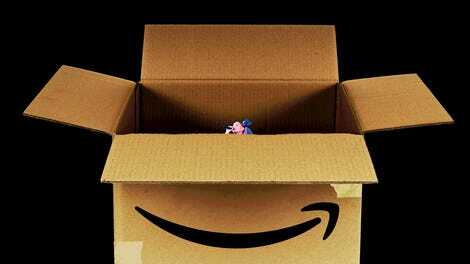 Germany remains Amazon’s biggest market outside the U.S., and workers in what was once America’s strongest ally on the continent have engaged in collective action against the ecommerce giant as far back as 2013. Reports over the years have painted a grim picture of work in Amazon warehouses, and there’s little reason to think conditions in Europe are any better. Those who consider convenience less important than human misery are invited to engage in a shopper boycott for the duration of this fake holiday—or better yet, cancel your Prime membership.